Missing our sweet girl and celebrating the many ways that she has changed all of us. Wondering what birthday parties in heaven are like. Amazed at how all that was broken nine years ago, has been so beautifully and wholly restored. I bet they're pretty awesome. I mean, God has to be the best party planner, right? :) What a special day - praying for your family. Sending you a hug from Virginia. I'm sure God throws the best birthday parties ever! spilling tears all over again for you & your journey with Joy. i always am so thankful when i read the part about that you were in community for those first days. of course you needed time alone to be deep in your grief, but also that someone could come play worship songs with you in your darkest hour? beautiful. also love all that Joy did. marriages restored & only knowing heaven? beautiful. praying peace and so much hope for you today. thank you for sharing some of Joy with us. i am a better mama and person because of it. I bet the birthday parties in heaven are something more fabulous than we could even dream up! The last nine years have been the most spectacular party for her!! Hoping and praying you have a good day today and that you stay wrapped in his arms! i think in heaven, every time there is a birthday party, they say, "eat your hearts out, martha stewart & amy atlas!" but, that's just my theory. sending peace and hugs your way today! you are one tough woman! Happy Birthday sweet Joy! Can you imagine the wonder of cupcakes in Heaven? I feel if God went to the trouble to create cocoa beans then there must be chocolate in Heaven. I'll be praying for you today Julie. Lot's of peace and comfort. Why, they are fabulous, of course! Sending you lots of love and hugs today, friend!! praying extra hugs & kisses for all of you today! Happy Birthday Joy! Praying for you guys today as you remember & celebrate sweet Joy. Love you! Thinking, praying and loving you today! 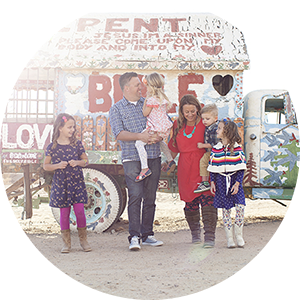 What a blessing you and Joy have been to so many who have read your blog. I pray God will surround you in love and peace today, just as He's doing with Joy. julie, praying for you and your family today. thank you for sharing your life and your sweet JOY with all of us! Can't wait to celebrate with you today! Happy birthday, joy! You have touched the lives of so many! Julie, I am constantly uplifted by your blog and know that Joy's influence and your goodness have touched many people. Hope today is a good one. precious. though my heart doesn't know what this kind of pain feels like, I think from one mom to another God will give me the words to pray for you today. Have a special celebration.....cause you know her and Jesus are! Sobbing uncontrollably as I read Joy's story again. You might be the strongest woman that I can think of. The road that you had to go down is one that God only chooses for those he knows can do it. What you went though is unimaginable and I am so sorry you had to endure that. Jpy is such a lucky little angel to have you as her Mommy, constantly reminding their sisters and the world of her, never forgetting her, for even a second. God Bless You, Julie. Have a wonderful day with your hubby and ALL of your sweet girls. 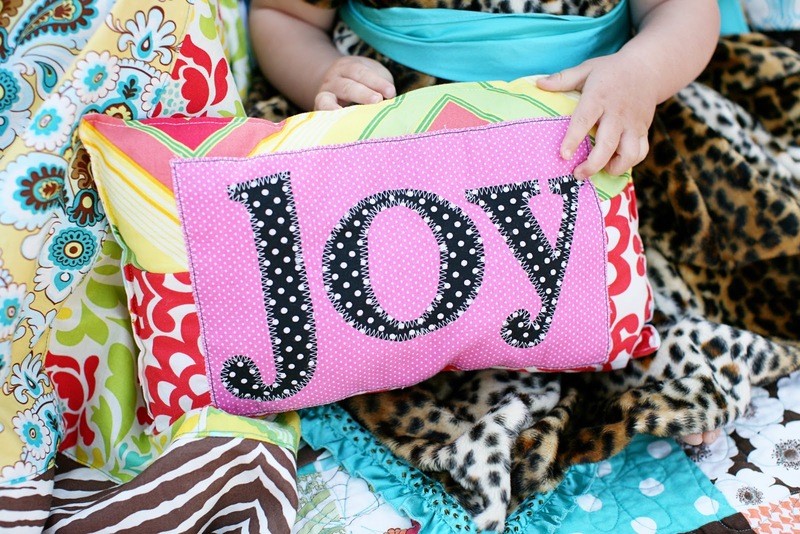 Joy is looking down from heaven smiling and thanking you for making her feel so special today and every day. (((Hugs))) and prayers for sweet peace today for you and your family. Yesterday was the Sanctity of Life day...so precious to know that sweet Joy and so many others are with our Heavenly Father. You are 6 years ahead of me on this journey and it helps me to look ahead and see what grief and healing looks like as we travel this difficult path. Hugs to you and Happy birthday JOY!!! Happy birthday to dear sweet Joy. My thoughts and prayers are with you and your family today. And I am sure those Heaven birthday parties are pretty awesome! Just said a little prayer for y'all to continue to find peace. And I agree with Lindsay, God probably throws pretty amazing birthday parties! Praying an extra heaping of God's many blessings on you today. I am thinking of you today, and wishing Joy the happiest of birthdays in Heaven. Many (((HUGS))) to you. I just found out today that I lost a baby (having a D&C on Wednesday), so I'm going to think that my little one might be at Joy's party today. I've never left you a comment before...this time seemed right. Happy Birthday to your sweet baby girl. Praying for comfort & JOY for you all today. And maybe a special glimpse of what she's up to on her day...what a precious girl. because of you so many lives have been touched by your amazing caring Mommy! I hope you all have a perfect, special day together! I don't even know you but I am blessed by your raw honesty and beautiful written account of your journey. Thanks for being willing to share. I can only imagine the ways God has used you and will continue to use you. Happy Birthday to your Joy! I'm also the Mama of a sweet babe in Heaven and I'm so glad we can grieve with hope. Thinking of you and your family today. "Maybe God has a bigger plan for me than I had for myself. Like this journey never ends. Like you were sent to me because I'm sick. To help me through all this. You're my angel." From my favorite movie of all time-"A Walk to Remember"
Saying a prayer for you and Joy, my amazing friend! hugs from the gibson clan. we love you so. I've followed your blog blindly, not knowing you or your story, for a few months now via a friend. I just read your story, and Joy's, and sit hear with tears streaming down my face for your heartbreak but also with a smile for the blessings of all your added "Jae's". I pray that your tender heart feels God's peace today knowing that all of heaven is celebrating Joy! Thank you for opening your life to us. eager to see Joy one day with you! "baby let sweet Jesus hold you 'till mom and dad can hold you, oh... you'll just have Heaven before we do..."
How deeply I was touched as I read your story for the first time today. What an accomplishment of Joy, touching many more lives than any of us could ever hope to! Happy Birthday to a very special girl! Thank you for this. I am sure I'd read that post about Joy before... but it's so raw and new now. A friend of my very best friend had a stillborn baby last summer. The baby was even named after my friend (Anne Michelle). It's been six months now and even though I've never met her parents, I think of Anne Michelle every day. I know my friend Michelle so well to know how rough of a time it has been for her parents. We struggle to praise God in this, but he surely knows better than we do. Thanks for sharing with us! This post is amazing to me. I had a very similar thing happen to my little girl. Her first birthday is coming up in March and this post just gave me chills. I'm sure they have wonderful birthdays in heaven & I can't wait for my daughter to tell me how everyone of them went :] thank you so much for sharing. Wow, I had never read your previous posts on sweet baby Joy, and I thank you so much for sharing it. I will be praying for you and your family today. I am praying for you and your family this week! We have met briefly at church, and I learned about your precious baby Joy when it was mentioned during church one time. My husband and I also lost our oldest son, and it will be nine years this May - - May 16, 2002 to be exact. I love thinking about the celebrations up in heaven and we talk about it with our other kids. I pray that God wraps you in his arms as you remember your precious daughter. Thinking of your beautiful little girl Joy who should be here to celebrate her birthday! Sending a hug and love and strength to get through a special day. It is me again. I failed to tell you that I am sorry for your loss and yes, birthdays in heaven must be the best. I wish you lots of peace. Take care and thank you for sharing your story of precious Joy. Hugs and Prayers from one bereaved mom to another. Thinking of you today Julie. :) I ♥ Joy! julie, this sweet little post choked me up and made me smile. your sweet angel and her story has touched my heart. i hope you all have a wonderful birthday celebration and that you feel peace today knowing that our God is so, so good. many hugs, friend. Thinking of you with all my heart. Happy birthday to your precious Joy. My heart ached reading your journey and the pain you and your family endured. Thank you for sharing your story. I was also inspired and humbled by you and your strength. I know Joy sees you each day and is so proud of her mother and the joy you bring to her sisters and to those around you. I have enjoyed reading your blog for a few months now and am thankful to know a bit more about you and the meaning behind your blog title. I was feeling particularly down this week - a little bit of self pity combined with lack of sleep and mommy worry so I appreciated reading and remembering how very blessed I am even during my toughest weeks. I am confident there will be more JOY in my day tomorrow. Happy birthday to Joy. Ours would have been nine this year too. Thinking of you and praying for you and your family.